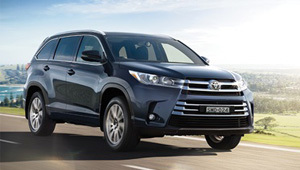 The ultimate SUV, Kluger's sleek and muscular exterior is designed to reflect the car's sporty personality. 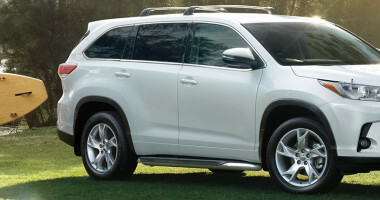 Wide shoulders, large alloy wheels, and a forward-leaning stance emphasise the car's power. 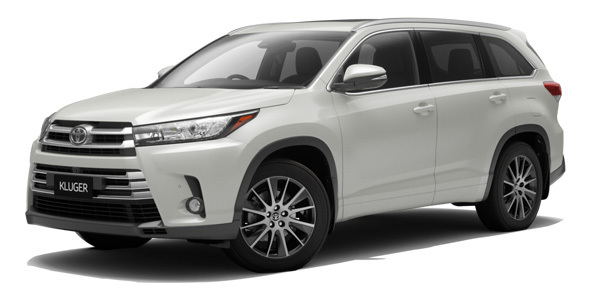 A large front grille and slim wide-sweeping headlights express the classic Toyota 'T' shape, while slim headlights and a thick, curving front bumper, create a powerful SUV face. 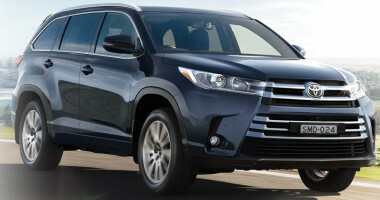 Safety is of the highest priority at Toyota. Worldwide, we invest over $1 million (AUS) every hour* in research and development, refining existing features and developing revolutionary, new technologies to make our cars better, safer and more efficient. 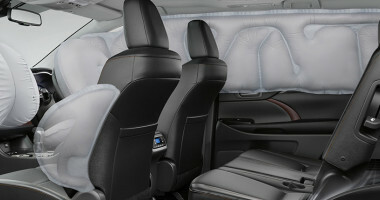 We always aim to exceed recognised safety standards in all of our cars. 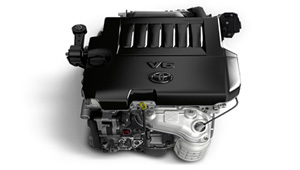 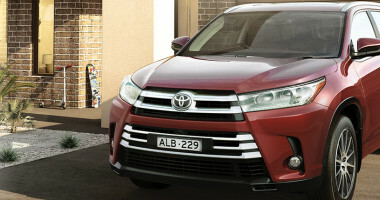 As a result all Toyota vehicles are renowned for their sheer breadth of advanced safety features - Kluger is no exception. 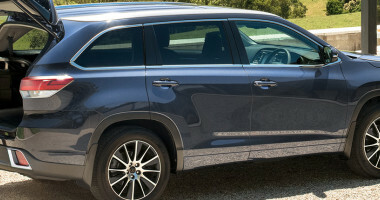 Grande models feature a Blind Spot Monitor (BSM). 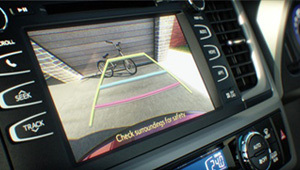 Reading information from radar sensors in the rear of the vehicle, the Blind Spot Monitor alerts the driver to vehicles located in their blind spot. 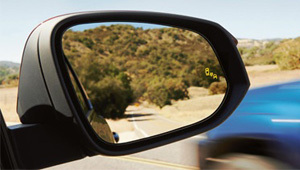 If the turn signal is activated to change lanes, a warning signal will appear in the corner of the side mirrors. 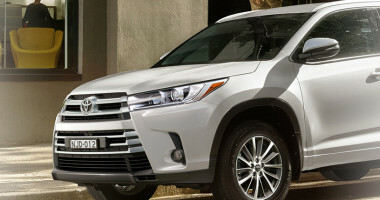 Kluger Grande is also equipped with Lane Departure Alert (LDA) technology, designed to warn you if you begin to drift out of your lane unintentionally. 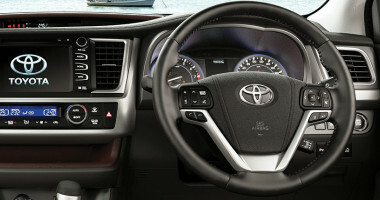 If it detects that you are moving out of your lane without indicating, it will flash an alert on the Multi Information Display and sound a buzzer to warn you.